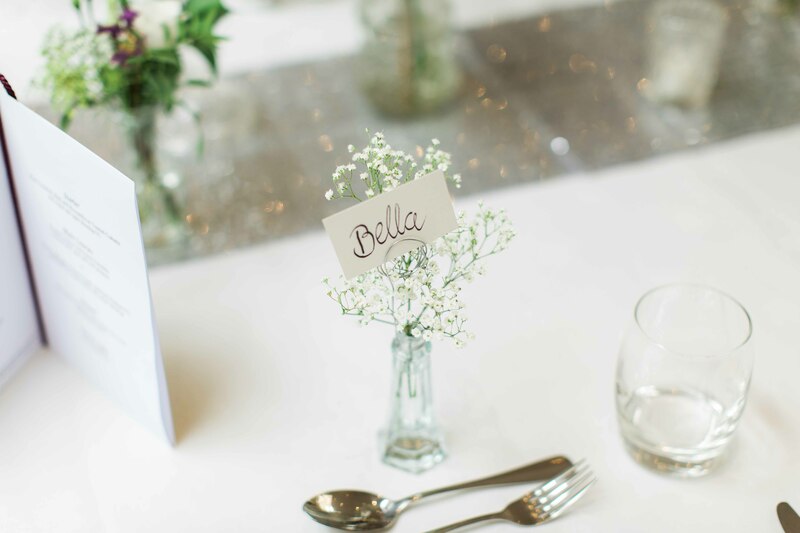 Bud vase place name holders available to hire. 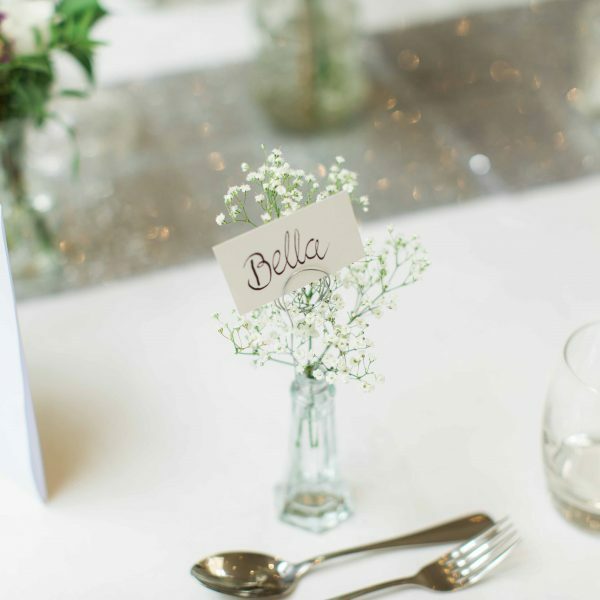 Add a dainty single stem flower to complete the look. Get in contact if you would like to add calligraphy place names.